When the world shrunk as countries around the world started communicating to each other and trading with each other, it became important to extend the policies and regulations of a country in order to accommodate the relations established with other countries. This is when international organizations began to see the light of the day. Countries required co-operation from each other in order to live together in the world and share the resources available. 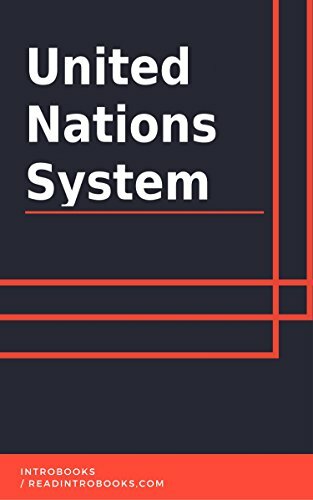 United Nations System was not the first organization to see the need for co-operation among countries. It began as early as 1865 when the International Telecommunication Union was founded. The organization now exists as a part of the UN specialized agencies. Then in 1899 Hague became the site for the International Peace Conference which eventually led to the establishment of the Permanent Court of Arbitration in 1902. The objective of this organization was to settle crises peacefully and to avoid war. The Second World War led to the subsequent formation of the United Nations. But even before it, existed the League of Nations which was founded during the First World War in 1919 under the Treaty of Versailles. Its objectives were very similar as that of the United Nations System today. The organization aimed at promoting international peace and encouraging co-operation among the participating countries. It failed in its endeavors when the Second World War began and hence stopped its activities. The United Nations picked up from where its predecessors had left and aimed at preventing the events that had led to the Second World War. The attempts of the organization have been more successful than any of its forerunners and it has thus been able to become one of the most influential organizations in the world.